A handsome man stands before the crowd smiling and beaming assurances. He asks the assembled audience if someone here had recently lost a parent and a woman stands. The man walks closer, asking a few more questions, establishing and clarifying that he is in touch with the very parent’s spirit, which has crossed over into the afterlife. Appropriately, that’s the name of the show, “Crossing Over” and the man professing to be a psychic medium is John Edward. Born John Edward McGee, Jr. on October 19, 1969, the man who would reignite the medium movement first spent time in the nursing industry and then as a ballroom dancer before he authored a book on the abilities he says were predicted at the age of 15. Starting off life in Glen Cove, New York, Edward was a devout Catholic and a sceptic of things psychic—until he was told by a fortune teller that he would one day manifest power and in turn become powerful. It was a New Jersey woman who was responsible for Edward’s direction in life, to hear him tell it. A reading given by this woman led to her prediction that he would become a medium, a teacher and a helper, which was initially met with Edward’s scepticism. But then, he claims, she began to tell him things about his life with incredible detail that she could not have known and that convinced him. His first book was published in 1998, One Last Time and from there he got an interview on Larry King Live. During that interview the phone lines became jammed from people trying to get in touch with Edward, and it was soon after that that his show, “Crossing Over with John Edward” came about. The Crossing Over show caused a stir among the hopeful and the doubters. The hopeful came to see if Edward could connect them with the spirit of their dearly departed and it seemed that he could, indeed. Sceptics, however, were plentiful, claiming that Edward was a fraud and used techniques called “hot reading” and “cold reading” to find out information about the audience members and then use that information to dupe them into thinking Edward had true power. A significant controversy arose when the show’s producer invited families from the September 11th, 2001 World Trade Centre disaster to attend. When word got out pressure from many sources caused the producer to have second thoughts and the show was never aired. Edward’s current show, John Edward Cross Country, started in March of 2006 on the Women’s Entertainment network in America, where it runs today. This show’s format has been updated from Crossing Over in that no prior information about audience member is gathered, as opposed to the questionnaires filled out in the previous show. John Edward is undoubtedly one of the most visible of mediums today, drawing equal amounts of criticism and praise. He continues to author books on the subject of crossing over and maintains a large group of supporters despite his detractors. 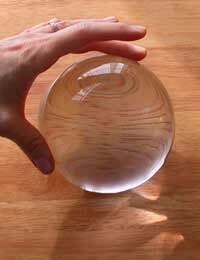 Mediumship is one of the harder abilities under the umbrella of the psychic to “prove” as only the person who knew the spirit supposedly contacted could verify if the information the medium is providing is correct.